Candidates should need to be aware of the number of attempts and the age limit in UPSC CSAT 2019 Examination. Candidates should make sure to fill in authentic details in application form. Candidates who do not fulfil the eligibility criteria would not be allowed to take UPSC examination. 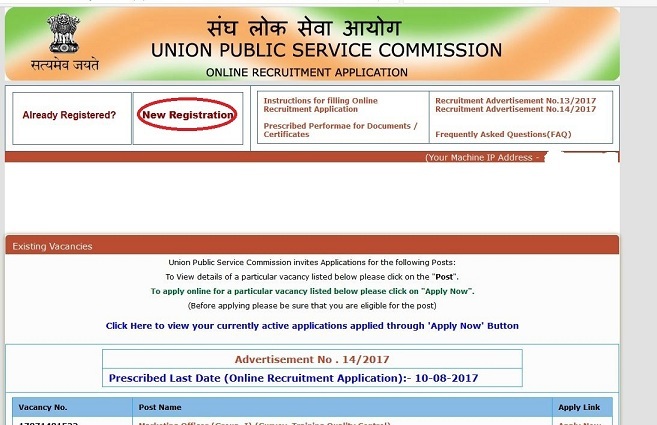 Application dates would be announced on official UPSC website which candidates need to keep themselves updated. Candidates need to aware that UPSC CSAT application forms are available in only specific time of the year. Candidates who satisfy the eligibility criteria for UPSC CSAT 2019 can fill the application form. Application forms are available at www.upsconline.nic.in. 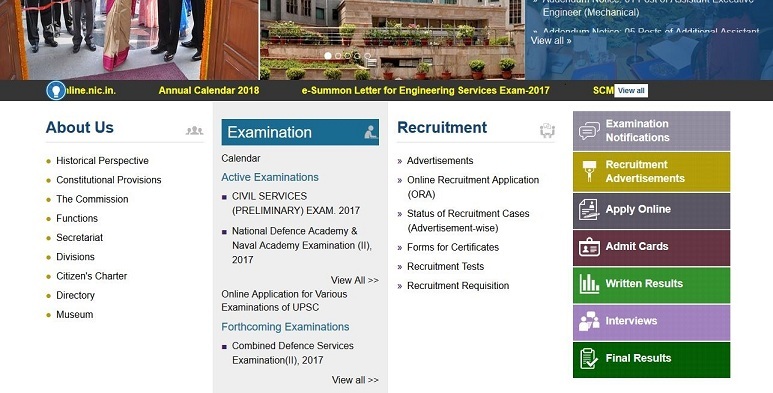 UPSC CSAT candidates need to go through eligibility criteria and fulfil it before filling the UPSC CSAT 2019 application form. After submission of personal details, candidates who satisfy the eligibility criteria for UPSC CSAT 2019 should print the SBI bank challan on an A4-size paper. The printed payslip needs to be used for payment of application fee to CSAT. UPSC CSAT application form will be available in official UPSC website at a specific time of year. Click on the first Link "Online Application for the various exam of UPSC" to open online recruitment application page. On the next page click on the link "New registration" to open a new application page. Registration can be done at any time of the year. If already registered click on the already registered option to get to the application form. 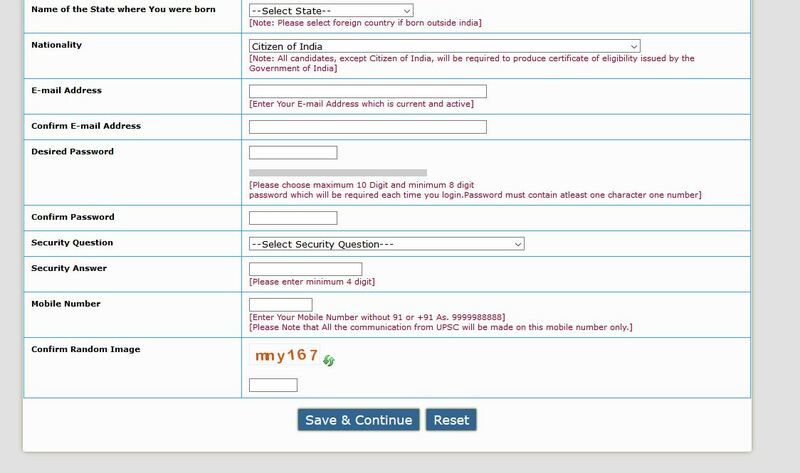 If you have forgotten the registration number click on the link forgot registration number to retrieve it. Candidates who are new to this registration can click on “New Registration” option. Clicking on the “New registration” will take you to a page where you have to fill your basic details. Make sure to fill in authentic details. Enter other details as required in the above picture such as Email ID, Mobile number etc. Candidates need to satisfy the eligibility criteria for UPSC CSAT 2018 before filling the application form online. Candidates need to fill in Part-I and Part-II of the application form to complete the application form process. Candidates are required to mention the number of attempts already made in UPSC Civil Service exam. Candidates need to make a choice for Main examination centre. Candidates are required to select an optional subject which they want to take up for UPSC Mains exam. Candidates need to select the medium in which they want to write the Mains examination. Candidates can select from any languages mentioned in the eighth schedule of the Constitution for their examination. Cross-check the information provided in the fields before clicking on Continue option. Click on Continue to fill next part of the Application. In Part-II of the application fill in relevant and authentic details as required in these fields and follow provided instructions. Candidates need to choose a centre to appear for UPSC CSAT Examination. SC/ST/Female/physically handicapped candidates are exempted from payment of a fee. The fee can be submitted through online and offline mode. In offline mode, a candidate can make payment at any branch of SBI by cash. In online mode, candidates can use net banking facility of state bank of India, state bank of Bikaner and Jaipur, state bank of Hyderabad, state bank of Mysore, state bank of Patiala, state bank of Travancore. Candidates can make use of any visa/master credit/debit card for payment of a fee. The examination centre for candidates is allotted on the first come first serve basis. Candidates who fill in the application form as early as possible they would get examination centre nearby to their location. UPSC has the discretion to remove or add a new examination centre depending upon administrative feasibility. To fill in application form process candidates need to upload photograph and signature. For the Signature, the pixel size is 110 pixels height x140 pixels width. After uploading the photo and signature, a candidate can see the uploaded items. Recheck properly if the uploaded items are visible properly. Can I print the SBI Challan on any paper? The SBI bank challan should be printed on an A4-size paper. Should I print the SBI bank challan? Yes, you have to print the SBI bank challan on an A-4 size paper. The slip should be used to pay the CSAT application fees. Can I apply for the CSAT exam through offline mode? Yes. Candidates can apply for the CSAT exam through either online or offline mode. Which is the Official site for CSAT exam? The official site for CSAT exam is www.upsconline.nic.in. How can I apply for CSAT? Application to UPSC CSAT can be made either online or offline depending on the candidates wish. how to pay for CSAT? How do I filling the application form for CSAT 2017? 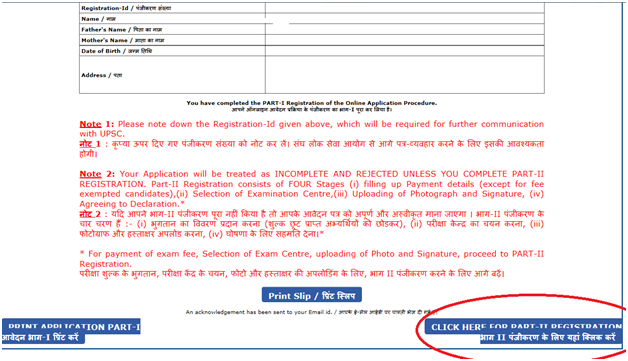 Candidates must go on the Official Website to fill up the Application Form for UPSC CSAT. How do I access the site to fill up the online application form? 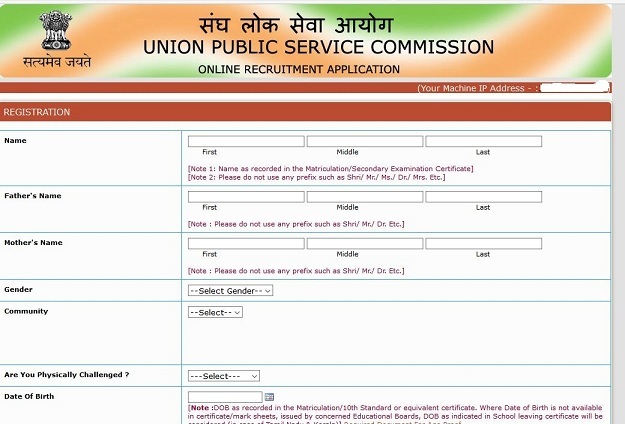 An application should log on to the official website (http://www.upsconline.nic.in) to access the online application form. What is the fee Structure for UPSC prelims Exam? Candidates who belong to the unreserved category are required to pay Rs. 100 as application fee for UPSC CSAT. SC/ST/PH/Women candidates are not required to pay any fee.